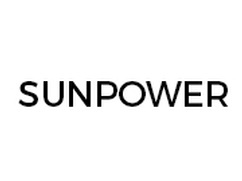 SunPower Corporation is an American crystalline silicone PV solar cell and solar module manufacturer. SunPower is publicly traded on the NASDAQ and majority owned by Total. SunPower was founded in 1985 in Silicone Valley and now employs over 8,000 people across more than 14 countries. Their global headquarters remains in San Jose, CA. For more than 30 years, SunPower has led the way with record-setting technologies and innovative solar solutions, and their cutting-edge approach to sustainability is renowned for its positive impact on the environment and our communities. SunPower leads the way in sustainability, garnering the only Cradle to Cradle® designation in the entire solar industry. And every day, they seek to empower communities through solar education programs and provide clean, affordable energy to those in need. Builders and businesses can even earn additional LEED points for using SunPower products because their panels are Cradle to Cradle Certified™ Silver, and their packaging materials are recyclable or reusable, reducing construction waste. SunPower’s Maxeon® solar cell is fundamentally different than many others. It has a unique solid copper foundation, no metal lines on the front of the cell, and thick cell connectors to reduce the strain from temperature changes. The unique design of SunPower solar cells eliminates 85% of the reasons other cells fail. Using their Maxeon® technology, SunPower offers several brands of PV solar module, including their X-Series, E-Series, and P-Series modules. SunPower panels average only 0.25% power loss per year over the first 25 years, which is lower than many leading competitors. SunPower also predicts its panels will have a useful life of more than 40 years. SunPower stands by these quality claims with an industry-high 25 year product and 25 year performance warranty. According to some studies, a SunPower panel will produce more electricity than a Conventional Panel, even after accounting for differences in panels ratings (see their website – link above). Essentially, they claim that their panels will produce more electric power per rated watt than others thanks to better performance at higher temperatures, lower light induced degradation, better low-light and spectral response, and high performance reflective glass. SunPower also offers custom financing options for both residential and commercial customers. SunPower is a global leader in PV solar module technology, but is a SunPower branded product right for you?